Miss Africa Great Britain, Susana Owono has just released a new set of photos as she gears up for her charity mission to her home country Equatorial Guinea. 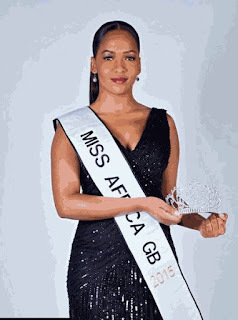 The student and beauty queen was crowned on October 10, 2015 in London where she beat 18 other hopefuls to clinch the crown. She will be visiting her home country in March where she will visit two schools, one for orphaned kids and the other for disabled children. She will also be donating stationery and learning aids as well as donating wheelchairs and mobility aids to the disabled school. 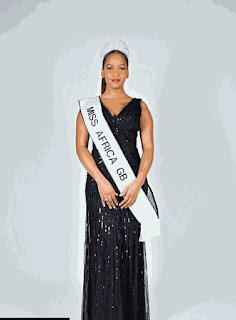 Miss Africa Great Britain is a pageant open to Africans living in the England, Scotland and Wales. The pageant is highly competitive and seeks to bring out those leadership qualities in women. Miss Africa Great Britain was founded by Nigerian entrepreneur, Dele Onabowu.